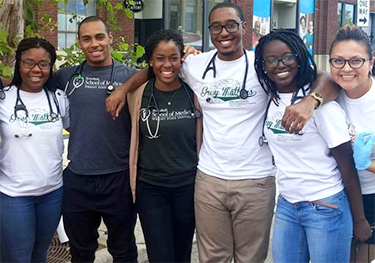 The Student National Medical Association (SNMA) is the oldest and largest student-run organization focused on the needs and concerns of medical students of color. Membership includes more than 6,000 medical students, pre-medical students, residents and physicians. Established in 1964 by medical students from Howard University and Meharry medical schools, the SNMA boasts over 40 years of advocacy and service to underserved communities and medical students. Christen Johnson was recently installed as 2016-2017 president of the Student National Medical Association at the American Medical Education Conference (AMEC) 2016 in Austin, Texas. Uchenna Agbim was selected as the Region V Community Service Chair at AMEC 2016 in Austin, Texas. Naa Koppoe was selected 2015-2016 Member of the Year by members from Region V.
Established in 1964, SNMA is the oldest and largest medical student organization dedicated to serving the needs of underrepresented minority students who wish to pursue careers in the field of medicine, as well as eliminating health disparities in underserved communities. SNMA was born from a need to produce sensitive physicians dedicated to providing quality health care to African-American, Latino, Native-American, disadvantaged and indigent communities. 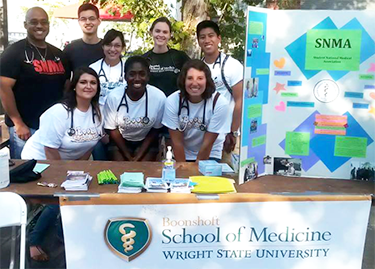 On the local level, the WSU Chapter initiates and participates in several community activities including the Gem City Medical, Dental, and Pharmaceutical Society; the Rev. Dr. Martin Luther King Memorial Program; the Senior Recognition Banquet; and various local health fairs. The organization also has an active involvement with pre-health undergraduates at local colleges. The SNMA chapter at Wright State University is part of Region V. Our region is comprised of medical school and associated undergraduate chapters in Ohio, Indiana and Michigan. 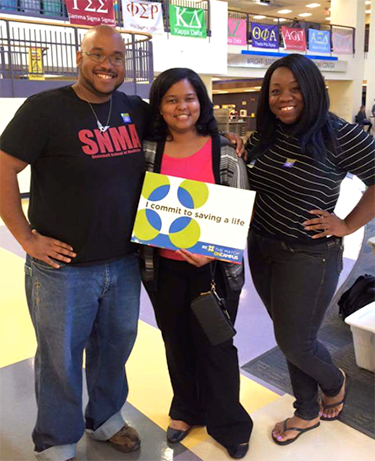 SNMA Region V upholds the mission of the SNMA through our community service and other outreach programs. SNMA welcomes all medical students to share in the organization's goals and activities. For information, call (937) 775-2934.